Hello and Thank You for visiting our Latest Restoration of another 1984 Avanti offered by The Motor Masters! 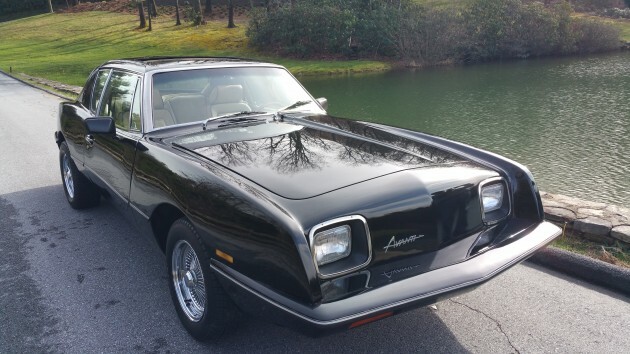 This is a 1984 Avanti that one of our Customers sent to us to Restore and is now up for sell. It has 68,048 ORIGINAL MILES! Has Original Blaupunkt Radio, Build Sheet, Books, and Documentation. BRAND NEW ITEMS: Paint Job (3 Coats of Base and 3 Coats of Clear…was sanded down to the Fiberglass and Resealed and Reprimered). NEW PARTS: Hood Insulation, Front Rotors & Pads, Spark Plugs, PCV Valve, Air Cleaner, Breather Tube Filter, Lower Radiator Hose & Clamps, Left Side Marker Lens, Windshield With Rubber Seal, Driver Side Window Motor, and Selector Shift Cover. ADDITIONAL IMPORTANT INFO: Radiator was Flushed and Cleaned with new Antifreeze. New Brake Fluid. The Exhaust was Re-Welded and New Muffler & Clamp added. Rear Tail Light and Brake Lights have been Refinished. Front Parking Lights have been Refinished. The Wheels have been Cleaned and Polished ( These are True Knockoff Wire Wheels.) Tires are Bridgestone Eager….have about 95% Tread….approximately 400 miles on them. Car completely detailed underneath and Primed with Rust Inhibitor Spray, Detailed under the hood, and Complete Detail of the Interior. Exterior has been Cleaned, Detailed, Buffed, and Waxed. Passed 2015 Emissions Standards. For questions, call Phil at 828-337-3417. I can also be reached at The Corporate Office at 561-318-0968. NO PHONE CALLS AFTER 9PM…THANK YOU! !